When I first started teaching I was terrified of the month of April. April means poetry in many schools. My exposure to poetry was not too much broader than Shel Silverstein in elementary school and Shakespearean sonnets in high school. However, I did want to inspire my students to love poetry and knew that I needed to immerse myself in the genre in order to do so. I began collecting poetry anthologies and made them my own personal reading. Here are a few that I love. I was fortunate enough to hear Emma Walton Hamilton speak about this book that she curated with her mother. She shared that in their family poems are often given as gifts. That is what this whole collection feels like, a gift of words, rhymes, and music. The collection also includes a CD of poems and the beautiful watercolors of James McMullan. Published in 1999 this book features over 200 poems written during the 20th century. 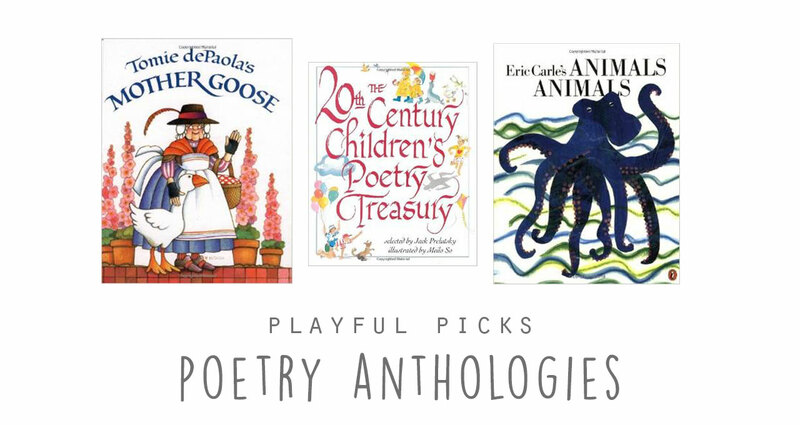 Jack Prelutsky, one of the most loved poets in my first grade classroom, selected the poems. After first paging through this collection I returned to the beginning to read the forward by Eric Carle. Here I learned that Bill Martin Jr. couldn’t read until high school and was taught to read by a teacher using rhythms as his guide. What an auspicious beginning to a career in education and children’s literature. The book also features art by many award-winning authors and illustrators, with each poem having its’ own artwork. This anthology comes with a CD featuring fifty of the poems from the book, making it a great way for any child to listen and read along. 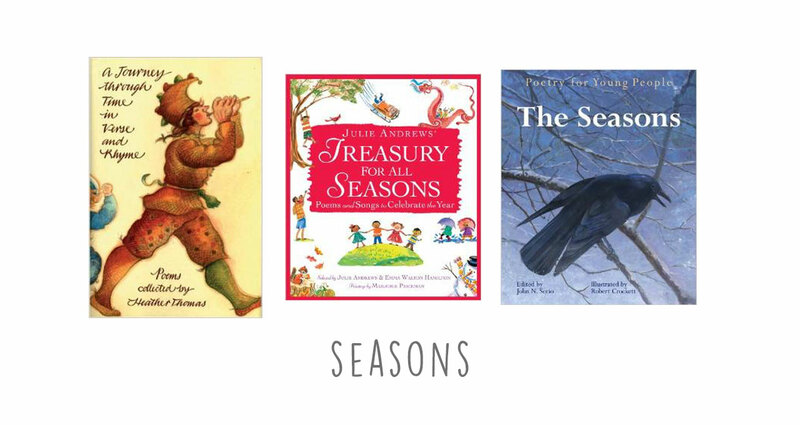 This collection, created for the Waldorf classroom, but appropriate in any, features chapters on the seasons, but so much more. There are chapters of poetry featuring finger play, riddles, grammar, nature, meditations for teachers, and so much more. 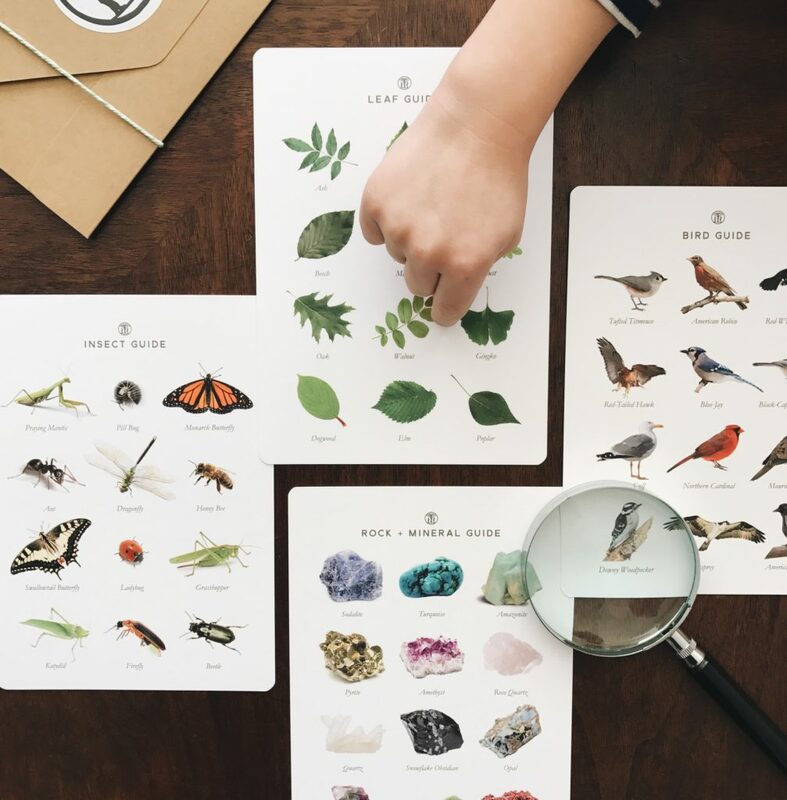 The book is organized in a way that the poems become more developmentally complex the further you go on through the book so parents and teachers of six-year-olds through high school students can all find something appropriate. Like their previous anthology this collection features songs, as well as poems. The book is organized by month and also by other holiday celebrations such as poems for birthdays, new babies, and rites of passage. Part of the Poetry for Young People series this book begins each of its’ four chapters with haikus and then continues with longer poetry formats. Each of the longer poems also has information about the poet and their inspirations. 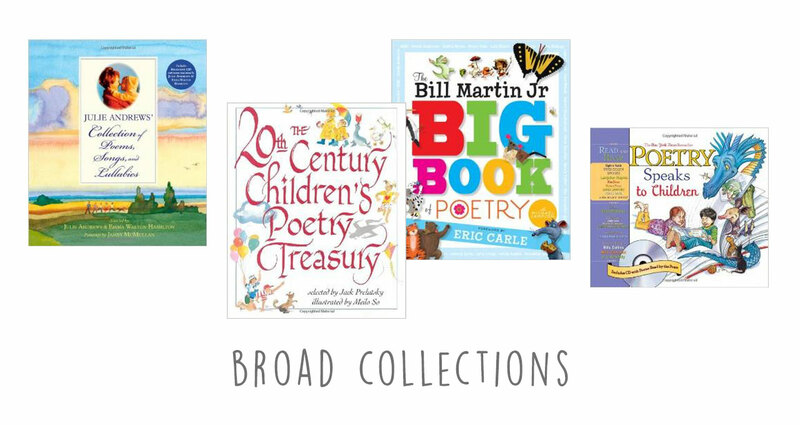 This collection features lullabies, action rhymes, nature poems and more. It features many cultures and often has the poems written in both English and the native language. 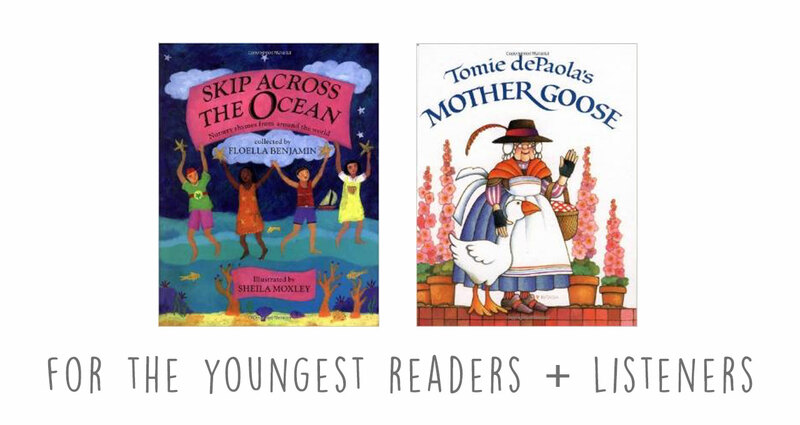 The classic Mother Goose rhymes featuring the bright and charming illustrations of Tomie DePaola, a favorite from my childhood. Stunning National Geographic photography and poetry together, need I say more? 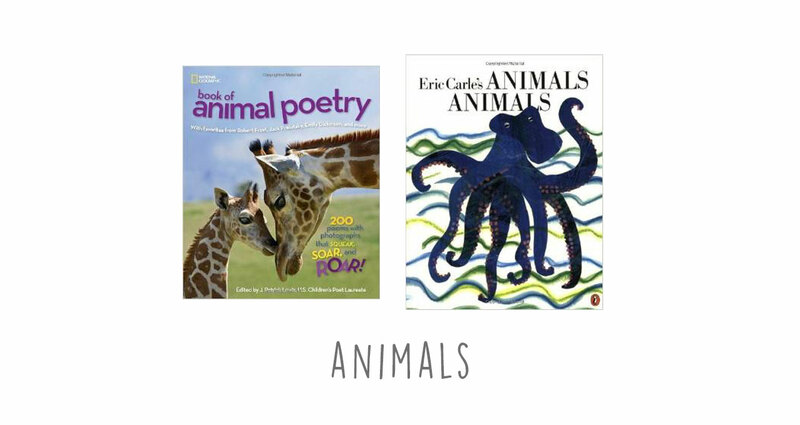 Featuring Eric Carle’s recognizable and iconic collages this book contains long format poems, haikus, and sayings about many species in the animal kingdom. Every time I read a poem from this book to my class I had their full attention. Many of the poems inspired a laugh and it was a great teaching tool when introducing onomatopoeia and decoding nonsense words with older readers. 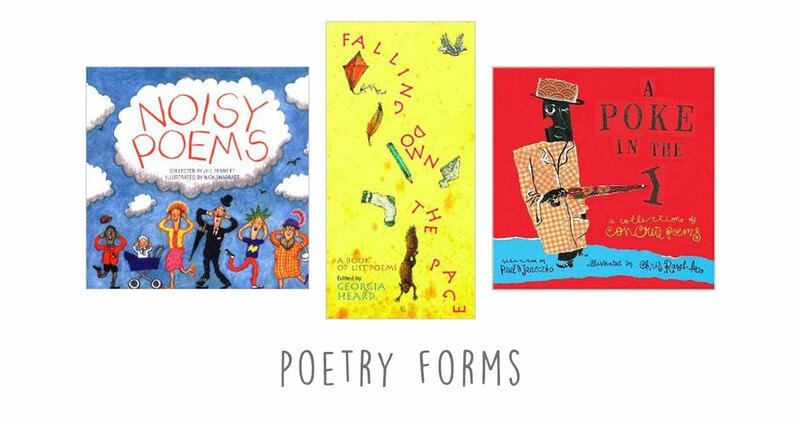 List poems are so very accessible to all levels of readers and writers, which is what makes this collection so great for the classroom, or for a family, that is exploring poetry. Georgia Heard whose books on teaching poetry were huge inspirations in my formative years as a teacher edited this collection. Concrete poems use not only words, but also shape and design, to express their meaning. This book is a visual feast and may help “hook” children who are otherwise adverse to poetry.